Greeting from our March Garden, here's whats' happening at the nursery. This weekend, we are headed to the Marion County Master Gardener Spring Sale up in Ocala, our first big botanical show of the season. 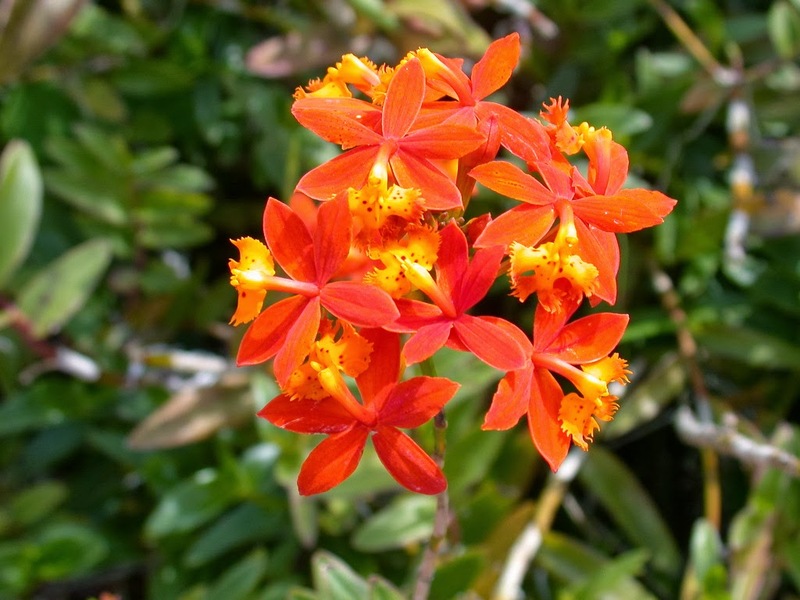 We are taking a ton of colorful and unusual plants, such as the Epidendron Orchid shown here, which we have in 4ft high pots ! It's finally Asian perennial Hollyhock season and they are just starting to bud and bloom. Right now we have crimson and purple, with peach and pink coming soon. 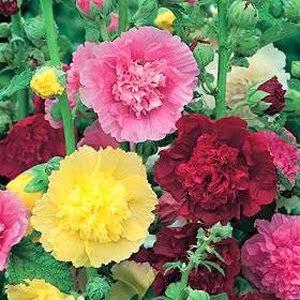 A long time customer favorite, this EZ to grow Hock thrives here in Florida and will give you long lasting color, plus tons of seeds to resow or share with friends. 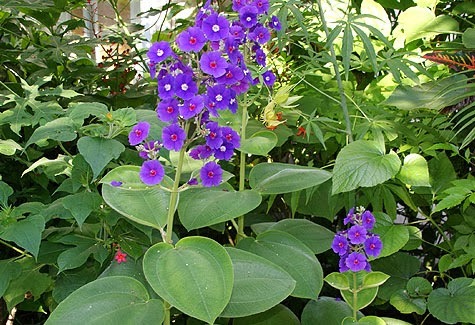 Big leaf Tibouchina heteromalla babies are ready for new homes and will soon give you spectacular blooms starting in the summer. Our "mother" plant decided to strut her stuff early ! If you are in the mood for a nice day trip to the show, it's just a 2 hour drive north of the Tampa Bay area, through the rolling hills of Ocala, and it's a lovely drive as you pass large horse farms, with the greenest grass you have ever seen and lovely animals all about. marioncountyfl.org/springfestival for all the info about the show and directions. We had a great time last weekend down in Punta Gorda as well as at Saturday Morning Market in downtown St. Pete. Remember, we are in the Show mode and will be out of Market now for awhile, but you can email us anytime for your plant wishes. Next up, Leu Gardens in Orlando, the weekend of March 15 & 16th.